After a long but good journey, we found our way back to our vacation home that we stay at while we are in Sweden. It’s a nice little red house that looks like a dream when it has freshly snowed, like it did yesterday. Tonight when I put the little guy to bed, it was hard not to feel like we were in a movie or a fairy tale. 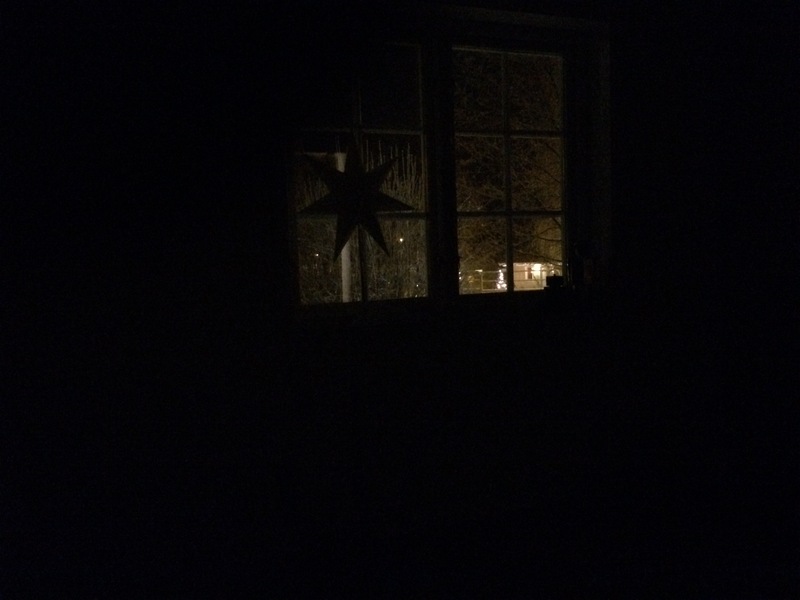 It was dark in the room, but cozy and warm. Outside it was snowing huge snowflakes that I could see through the window being lit up by the streetlight. In the foreground was the Christmas star in the window and a few toys. For those moments after my son fell asleep, I could only think: there’s no place like home.